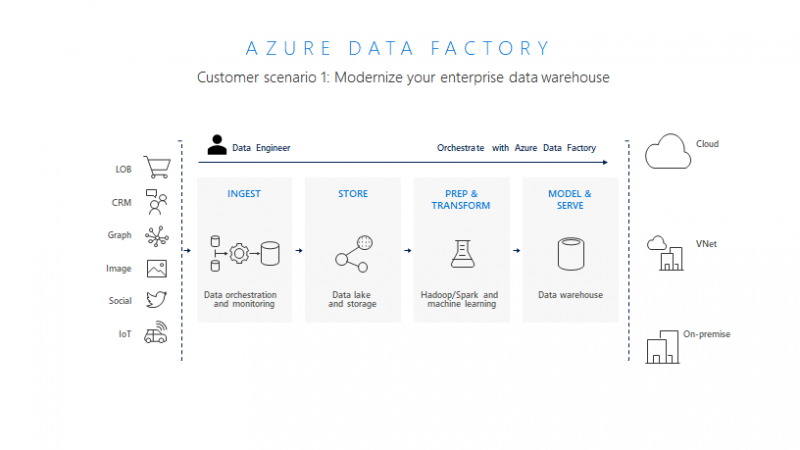 This week at Ignite 2017 in Orlando, Microsoft announced Azure Data Factory V2 with new features including Control Flow, VNET support, On-Demand Spark execution and SSIS in the cloud. This is a first look at ADF V2. We're going to publish a separate detail blog about SSIS in the cloud with ADF, so let me focus on a couple of features that are important to each of those 3 scenarios and we'll dive deeper into SSIS in a later blog post. With ADF V2, you can schedule your pipelines to run on a wall-clock schedule or trigger from an external event. A focus on control flow for your orchestrations that includes branching, conditional execution, parameters and looping enable incremental data loads and complex workflow. A new lookup activity is also very important in these scenarios. Click here for more on scheduling, control flow, lookup activity and incremental data load. 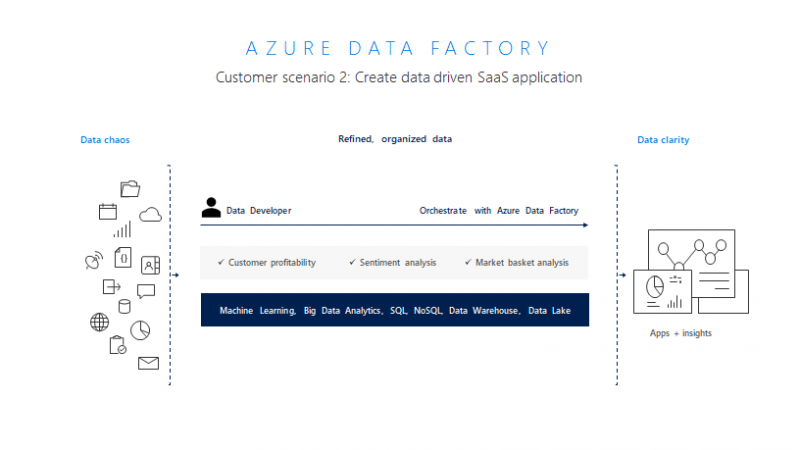 In this scenario, we found that customers building their own cloud-based applications with data intelligence, analytics, ML, etc., required support for SDKs like Python and REST as well as support for connecting to hybrid data sources in the cloud, on-prem and in VNETs. Here is more info on the Python SDK for ADF and here you will find details on the ADF Integration Runtime with VNET support. 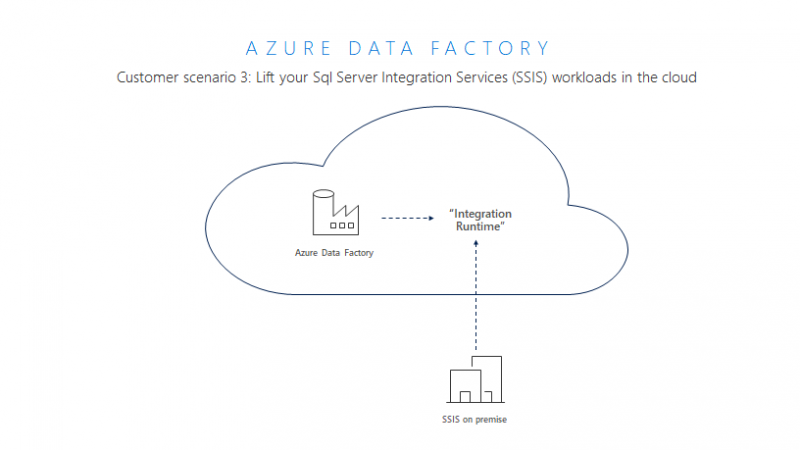 Running SSIS packages as a managed service in Azure provides the benefit of migrating to a cloud-first data integration architecture with minimal changes required from your data integration code and workflows. It also provides a means to leverage ADF with its extensive monitoring and management facilities to provision SSIS servers without needing to self-manage, install, maintain, patch, etc. SSIS servers. 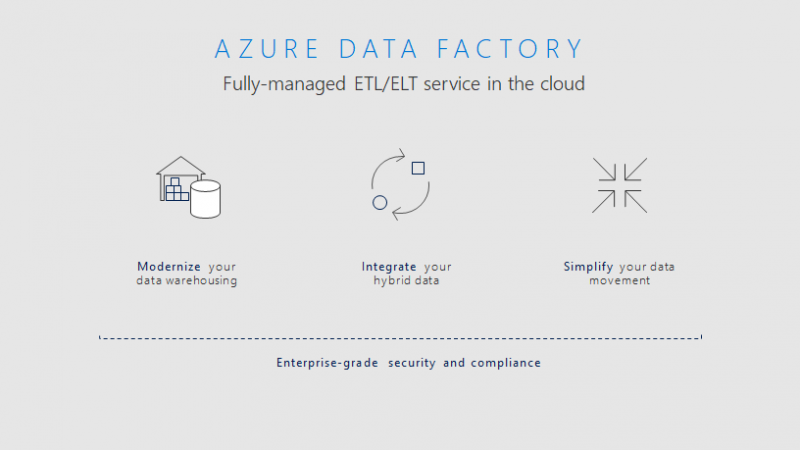 Details on running SSIS as a cloud service inside ADF can be found here.